With the spectre of tough new taxes on aviation fuel potentially looming large on the horizon, one influential body is calling for industry unity. 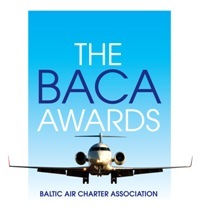 New chairman of the Baltic Air Charter Association (BACA) Markaham Jackson, issued the rallying call ahead of what many in the aviation profession fear is the inevitable imposition of further taxation, whether through VAT or otherwise. Jackson said: “During the next few years, I honestly think that a tax on fuel will happen and BACA needs to add its voice with all the other organisations. 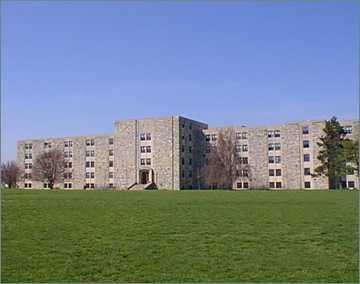 A serial killing incident has occurred in Virginia on the Campus of Virginia Tech. Even in the considerable confusion immediately following the incident, there are many conflicting reports and variable reported numbers for casualties. It appears that at least 32 have been killed, including a gunman. This figure may increase because there are an unconfirmed number of injured and the extent of their injuries is not yet reported with any accuracy. 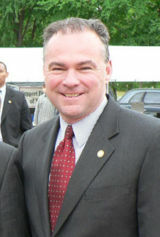 Governor Timothy Kaine has ordered that the flag of the Commonwealth of Virginia be flown at half-staff at the State Capitol and throughout Virginia in memory and respect for the victims of today’s tragedy at Virginia Tech. The state flag should be lowered immediately on Monday, April 16 2007, and remain at half-staff until further notice. In any language, this is a terrible tragedy for the people of Virginia, the victims, the friends and family of victims, those uninjured survivors who are traumatized by the incident. The Governor’s site and other related sites are currently experiencing technical difficulties. This substitute page will remain up for as long as necessary, so continue to check back for other Governor’s Office news relating to the Virginia Tech shootings. We hope full service will be restored sometime today or tomorrow. The fire storm of news media interest has turned this Virginian tragedy into an international story, resulting in heavy Internet and telephone traffic as relatives and friends of Virginia Tech students desperately attempt to find out if these students are safe or victims. The official website of the Governor has suffered a very high hit rate and been replaced by a temporary information page. 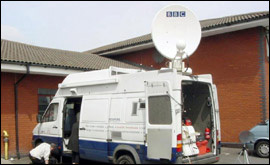 As with any major news media event, there are already claims that journalists and camera crews have made life more difficult for the essential services who have been attempting to contain and control the incident. If there are any surviving gunmen, news coverage may allow their lawyers to exploit concerns for a fair trial, to the advantage of their clients. Media activity is making a grave local situation even worse and interest is likely to continue for many days. It may be at least a week after the incident before really reliable information becomes available. Currently there is confusion as to whether a lone gunman was responsible or whether a number of gunmen were involved. That one gunman has been reported killed does not mean the incident is at an end, until it is certain that no other gunmen were involved. The cause of the reported death of a gunman is still unclear. It could have been suicide, or a result of police action. As yet the trigger for the incident is unknown. It may be several weeks before police investigation is able to establish the probable trigger. Already, free news space is devoted to the opinions of those who seek to ban guns, even though they do not have any solid facts about this specific tragedy. Fortunately, incidents of this type are very rare. In most cases, the perpetrators prove to be people suffering from some form of mental disorder. In almost every case, there have been few advanced warnings that the perpetrators were about to engage in mass killing. A terrible tragedy is often made even worse because politicians rush to judgment and pass defective legislation. The whimp’s charter is ‘gun control’. The danger is that emotion will triumph over careful review and decision making. If this happens, the new legislation will fail to reduce risk in the future. The simple act of banning anything is politically satisfying because it is easy to do, can be done quickly, captures the fading news media interest and makes politicians look good for a few days until the next media passion emerges. The worrying factor is that when legislators pass new restrictions on gun ownership, gun crime doubles. So far, no one has managed to identify why this should be the case, but it is a statistical fact. Gun owners may suggest that it is a result of honest citizens being denied the right to defend themselves against armed criminals. Some psycologists suggest that continued media interest and legislative activity makes the ownership of illegal guns fashionable amongst some violent elements of society. Anti-gun campaigners claim that it only demonstrates the need for even more draconian laws. Those in favour of capital punishment claim that these situations only happen because perpetrators know they will not be caught, convicted and executed. The reality is infinitely more complex. The British experience is that gun control never achieves its intended objectives. Controls were first introduced in Britain to deny weapons to the Irish Republican Army. This objective failed miserably and the IRA experienced no difficulty in raiding British Government police and army armouries for weapons, or using money raised, mainly in the United States, to buy more sophisticated weapons on the international arms market. 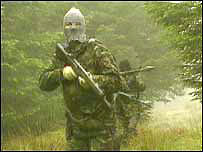 As a terrorist organization, the IRA were also able to draw supplies from other terror organizations and States that sponsored terrorism as a political tool. Britain now has the most draconian gun laws in the world and yet is experiencing a huge rise in gun crime. There is also a rapid rise in knife crime and the real causes of both escalations may be linked, or even the same. Legislation has now reached the point where although Britain was eager to bring an Olympic Games to London, British Olympic competitors in several events now have to travel abroad to practice with target firearms. The British Government has said that it will bend the laws to allow a full Olympic programme to take place in London and to allow British competitors to bring their guns into the country for the competition. However, this places British competitors at a great disadvantage in highly competitive events where daily practice is necessary. It also means that current target competitors will eventually pass beyond the age of effective competition and not be replaced, because younger potential competitors have been denied access to recognized international sporting competition. Denying Britons the right to engage in recognized sporting activity has in no way made British streets safer and has had absolutely no impact on the rising tide of gun crime. The banners in Britain have moved their focus to attempting to persuade politicians to ban toy guns, replica guns and deactivated guns. There have been incidents where panic and hysteria has resulted in armed police teams being sent to arrest eight year old children playing cowboys and indians with toy guns. 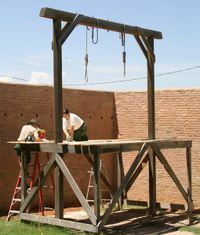 Those wishing to see a re-introduction of capital punishment are keen to point out that murder, in its various forms, has been rapidly increasing ever since Britain abolished hanging. Certainly, there are many documented accounts of how criminals searched each other, before going off to commit a crime, to make sure that none of them were carrying guns of any kind – simply in fear of being convicted and hanged as a result of one gang member fatally shooting someone. It may be true that a reduction in the tariff of sanctions for killings reduces fear of consequences, although most killings continue to be a result of the perpetrator losing control, rather than carrying out a premeditated killing. In Britain it is as likely that the rise in crime generally, and killings in particular, are a result of the politicisation of the police services under the Blair/Brown regime and the increasing belief that police are too busy filling in forms to prove they have met Government targets, achieving ‘diversity’ and other goals that have nothing to do with thief-taking. There are many well-documented accounts of how some social groups of young people treat guns as fashion accessories and enhance ‘street cred’ by carrying weapons of all kinds. These weapons are already illegal and banning them has had absolutely no impact on their use in crime, other than to perhaps provide some encouragement because there is increased ‘street cred’ from doing anything illegal. A civilized society is one that respects individual freedom but requires social responsibility. When a terrible incident occurs, as in Virginia this week, society owes it to the victims to look carefully at the incident, learn lessons, and react responsibly and proportionately rather than reacting emotionally. Since 1992, the world economy in general has been enjoying sustained growth year on year. 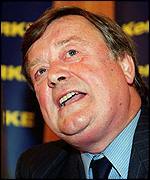 In Britain, the growth pattern established as Chancellor Ken Clarke recovered from his predecessor’s attempt to prepare for a move to the Euro. Those countries that persisted in replacing their national currencies with the Euro proved the exception to the general world economic experience and suffered a number of setbacks that have been mitigated by breaking the basic mandatory rules set for European Currency Union. The IMF is the latest organization to identify huge holes in the British economy. Worryingly, the IMF forecasts that British growth is entirely dependent on the growth in house prices and personal debt. Pundits are increasingly forecasting falls in both house prices and personal debt. The US has already seen a correction in house prices. This has led to a rapid increase in the number of home owners unable to service mortgages with defaults and repossessions. Britain is now showing signs that the long overdue correction to house prices may be sudden and severe. There are already indications that first step buyers are unable to obtain mortgages and a growing number of home owners are falling behind on mortgage payments. With further rises in Bank Rates forecast, this figure could increase dramatically. Internationally, there are indications that those countries enjoying a long period of growth may now be seeing a downturn. In Britain, the policies of Gordon Brown may see Britain suffering more severely than other countries. One reason for this is that a huge debt has been run up off-book by signing very costly long term PFI contracts which commit the Exchequer to as much as 30 years debt in servicing the contracts for hospitals and government buildings. This massive unseen debt has contributed in the short term to economic growth and to the rise in house prices. Relatively minor changes in world economic conditions could trigger a serious crash in Britain. Further instability is likely if the Scottish Nationalists win seats as predicted and seek the break up of the United Kingdom. This presents a further problem for Gordon Brown who is a Scottish MP. If he is crowned as Blair’s replacement, he could take over as Prime Minister in Westminster as his Parliamentary seat in Scotland ceases to exist. A growing appreciation of this possibility may yet cost him the post of Prime Minister, triggering a change of the two top posts of Prime Minister and Chancellor. On Friday 4th May, the Fishermen are bringing a flotilla of boats to the Thames to register their protest against the organisation which has decimated their industry, thanks to betrayal by our own politicians. Please give your support to the fishermen. With the return of the British hostages, the media focus has moved to the identification of who won. Blair made the interesting claim that the release was a result of quiet diplomacy, going on to claim that there had been no negotiations, as though the two could be separated. Diplomacy is a negotiation between two or more parties who start from very different points and attempt to maintain their different positions while forcing the other to move position. If neither side is able to move position, war will eventually be the continuation of negotiation until one side becomes exhausted and unable to continue. The more interesting question is not of who won, but of how national maritime boundaries can be agreed and observed. In the case of the British hostages, a reasonable nation, protecting its boundaries, would have informed the sailors that they were in national waters without permission, and then invited to leave immediately. 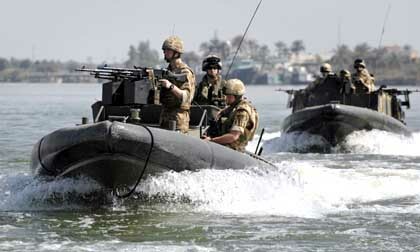 In this particular situation the Iranian gunboats cut out the British RIB and forced it at gunpoint into an Iranian port where the sailors were taken captive. That the British frigate and its helicopter allowed this to happen could be the subject of an inquiry. One option would have been to prevent the Iranians from cutting out the British RIB and allowing it time to return to HMS Cornwall, neutralizing Iranian power and allowing both countries to take the matter up with each other diplomatically. In any part of the world, the nationals of one country could find themselves in conflict with the border patrol of another country. In some cases the situation will be made more difficult because the border guards act disproportionately and engineer conflict. In other cases, the conflict will be created by the alleged invaders. These problems usually exist because countries fail to agree the position of national boundaries. A land boundary is usually the easiest to agree and it most frequently follows a river. The river will change its course, but this is usually a very slow process and, where the new course cuts into country A at one or more points, it usually also cuts into country B in a similar number of points, so that the average effect on national territory is neutral. Marine boundaries have always been more difficult because the rate of change can be sudden and dramatic. 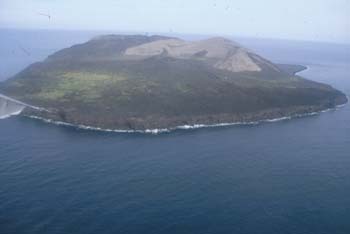 The most dramatic situation can be the creation of a new island as a result of silting or volcanic activity. 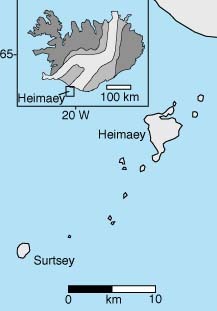 Neighbours can argue for years over who owns the new island and how its emergence affects the existing boundary agreements. Less dramatic will be the movement of channels but this can also be rapid change. 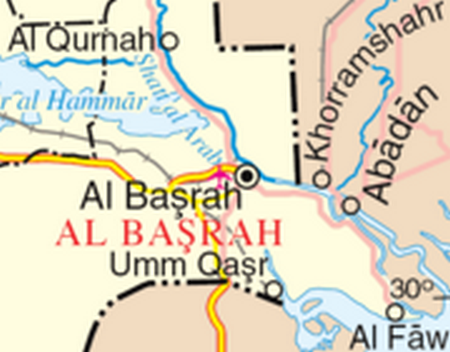 The border between Iraq and Iran is one such estuary dispute. The 1975 agreement that gave control to Iraq has never been recognized by Iran. Both countries share a waterway that joins the Gulf waters as a navigable channel. Provided that neither country attempts to prohibit the ships of the other from using the channel, and provided that between them they adequately mark the changing channel for safe navigation, it matters little where the boundary lies, or where it moves to – except perhaps to nationalist politicians. 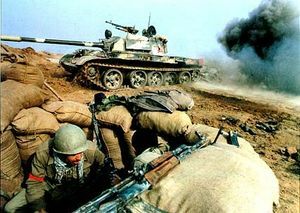 In the case of Iran and Iraq there is a long history of dispute and major war, during which time there has been no regular meeting to agree the changing marine boundary. The result is that everyone has a different idea of where the boundary lies. In this situation, the British patrols, operating under UN mandate, may very well have a completely different perception of where the boundary lies from any other interested party. 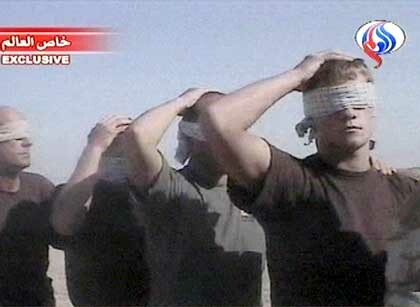 In this recent dispute, and hostage taking, both sides may have been correct from their own perception. 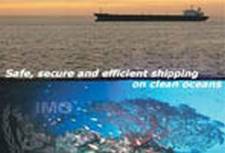 Perhaps, now is the time for an international body, such as the IMO, to take responsibility for arbitrating all shared marine boundaries, under UN mandate. That would then remove all confusion about where a line in the water may lay at any time. Border guards will then have an enforced border to patrol and sailors will know where they must steer to avoid infringing someone else’s national sovereignty.